Infinite Art Tournament: The Infinite Art Tournament, Round Two: Van der Weyden v. Whistler! 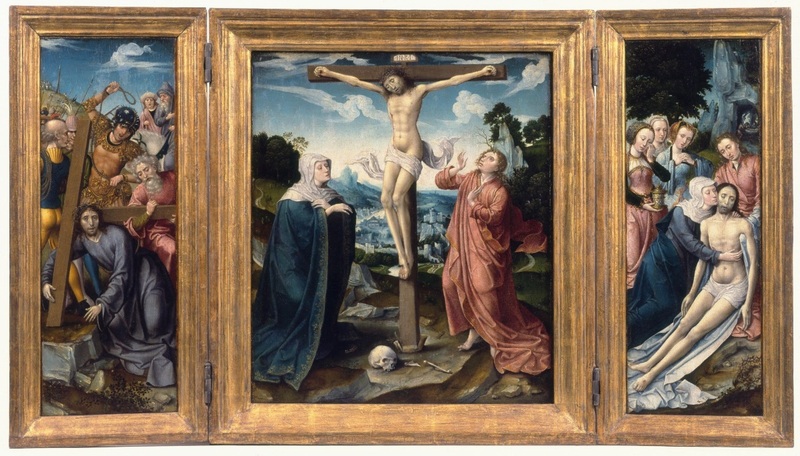 The Infinite Art Tournament, Round Two: Van der Weyden v. Whistler! I'll vote for Whistler because he didn't do religious scenes, though they're both very talented. 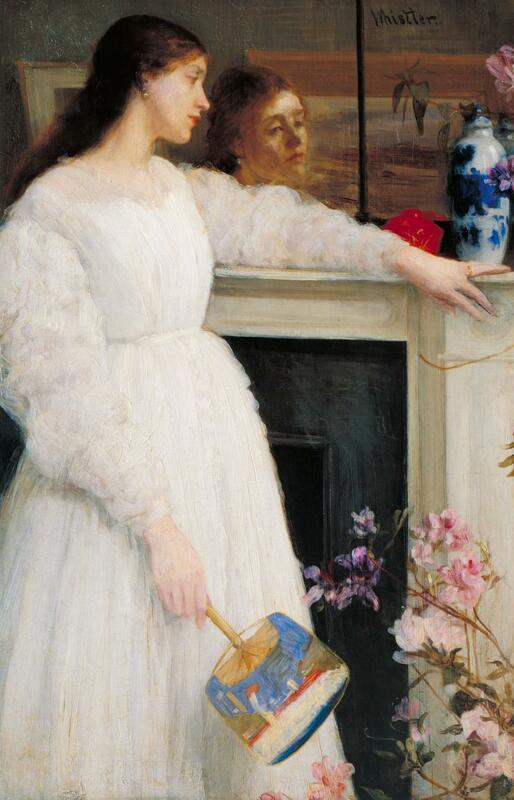 Whistler was kind of a jerk, but I like his work better. The whistlers feel a little languid to me. 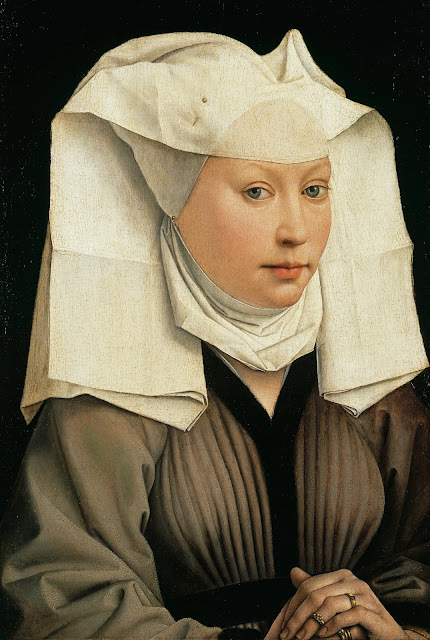 And that second one by weyden? Wow. 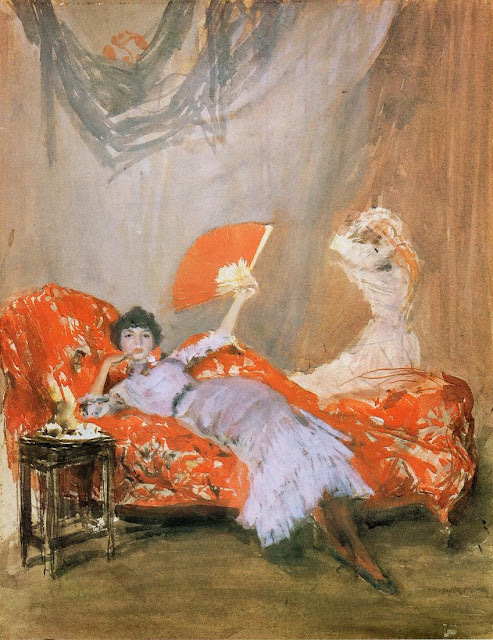 One of my favorite paintings ever. Him. On FB, Mariah goes for Whistler and Rebecca goes for Van der Weyden. Did I get that right? Yes. Yikes, brutal. Both so good. 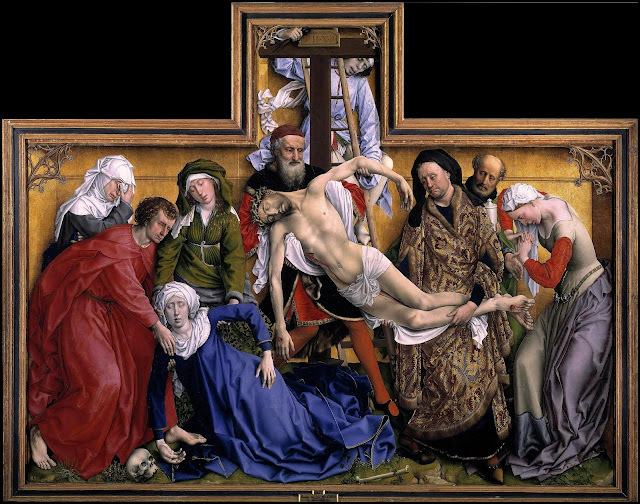 Van der Weyden, perhaps a little more amazing. Oh my! Whistler was up five votes to one early, but Van der Weyden came back with an eight-to-one streak and a decisive victory! Thrilling, although you can't help feeling a little bad for the Whistler fans. Thanks for your thrilling votes!